If your idea of a social network is Friendster or Multiply, you are definitely living under a rock. Perhaps it’s time for you to join civilization for you to see that social networks has grown by leaps and bounds. Fact is, it has gone a long, long way from Friendster. Gone are the days of social network sites that only promote online friendships. Fast forward to today and you have social networking stalwart names such as Facebook, Twitter, Google+, LinkedIn, Pinterest, Instagram - and the list has just become endless. Trust me when I say that we are only seeing the tip of the iceberg. The effects of social network had gone so deep and wide that we fail to see it beyond what is visible to the naked eye. This is the reason why a lot of individuals and business establishments are maximizing the use of social networks. 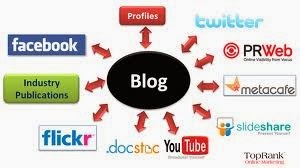 The minute you link your social network profiles with other web pages, you are creating a social signal. That easy! It's not as technical as you would imagine. When readers or customers begin to hit other buttons such as 'Like,' 'Share,' 'Retweet,' or 'Repost,' another string of social signals are created. They act as alarms to others if what they saw are worthy reads or buys. It opens up the marketing channels for those trying to market their stuff with constant upload of materials such as photos and videos. Instead of just gaining a following through these social networks, the business-minded groups have used it as a platform to catapult their businesses. Be it through link building, SEO, sharing, it enables businesses to be virtually visible and probably accessible to all across the globe. You are practically introducing your product on a global scale and not just confined to your storefront windows. This is actually more viable in terms of expenditures as you won't have to spend a lot on physical branding or signs. Indeed, the benefits of social networks have gone beyond exchanging notes and promoting communication despite distance. Social signals are everywhere online. But you won't be such a magnet if your site is such a drag. You have to keep it fresh and updated. If you're trying to promote a business through Facebook, you should keep your loyal fan base’s attention glued by constantly uploading photos of whatever product or service that you offer. Update statuses every now and then to keep them in the know. Otherwise, you will fall out and eventually lose your ground to others who are maximizing the potentials of their social network accounts. These days, you can even be marketing your business through phones. The emergence of smart phones and tablets nearly shoved computers away with ease in accessibility. What you have in your pockets is a gateway not only for communication but for constantly promoting your business. A recent photo uploads on photo-sharing site, Instagram, will ignite your followers' attention and prod you for more details. If they like what they see, there's a very good chance that you've got a sale going on right there. And you happen to be in the middle of the interstate. Yes, transactions happen even in the middle of nowhere and you don't have to constantly flip the 'Open' and 'Closed' signage that you used to have for your physical store. ALSO READ: What You Need To Know When You Set Out To Buy Twitter Followers. When you see a particular site, link or photo that has a massive amount of shares or likes to it, then it only goes to show that it earned tons of social signals. Perhaps it's a good material to read or something that is definitely a good buy. This post is written by Steve Kaplan who works with marketmongoose.com, which provides link building strategies and content marketing to websites online.